Embellished with dainty hearts in pink and red hues, this pretty heart charm is a tribute to deep and enduring feelings of love. Crafted in sterling silver, this charm is available online or in-store. Burst of Love Charm is rated 4.8 out of 5 by 16. Rated 5 out of 5 by tripper from great colors and design! Bought this about 2 weeks ago. Love it! Collecting all heart charms for my bracelet and this and the other charm I purchased are perfect! Rated 5 out of 5 by IrmaF from Dainty and cute Very cute, love this for a Valentine's gift. Adds color and it simply is adorable. Rated 5 out of 5 by Almlu from Really pretty! My daughter gave me this for my birthday. It is very pretty in person. It reminds me of how much she loves me. Rated 5 out of 5 by KeeKee9 from Heart to Heart! 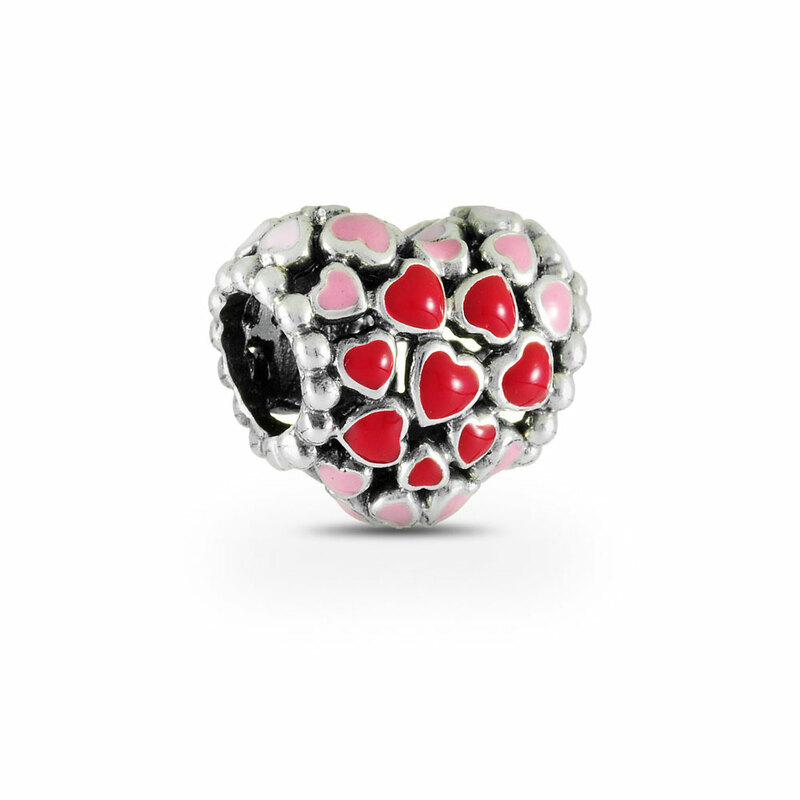 Love the little hearts in pink and red in this pretty sterling silver heart charm! A little worried about the enamel wearing off over a period of time. Rated 5 out of 5 by Ladyyoli from Love I brought this for a bridal present. It is beautiful. They loved it and so did I.